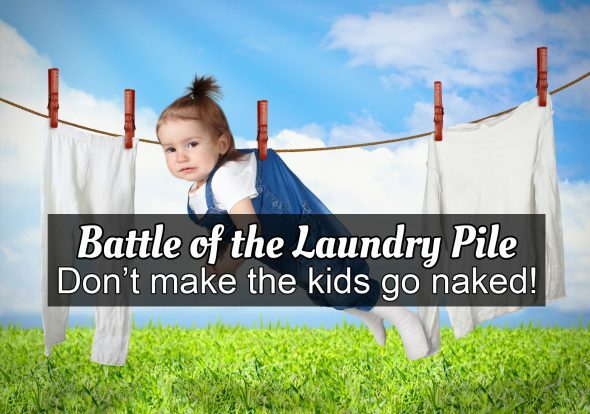 Battle of the Laundry Pile: How To Win Without Making The Kids Go Naked! Do you wear clothes? Do you have laundry? In the “battle of the laundry pile” is the laundry pile winning? If you answered yes to any (or ALL!) of those questions there’s something in this book to help inspire you! 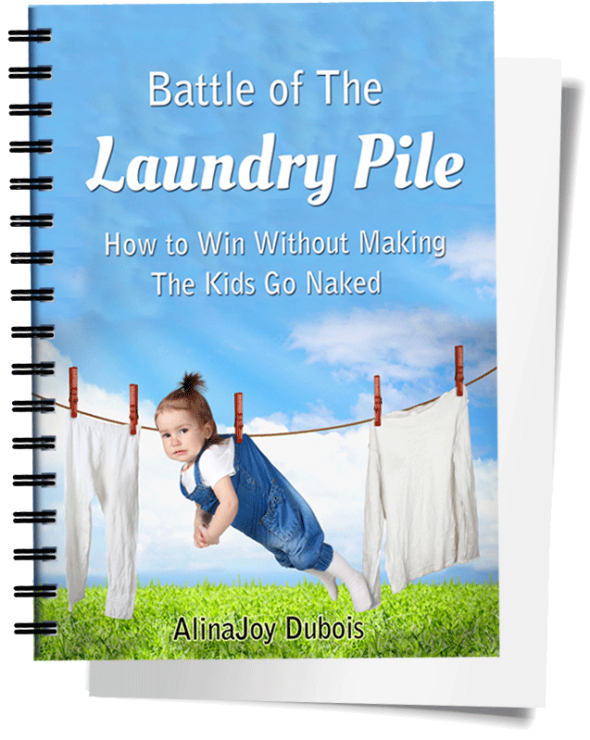 I have packed Battle of the Laundry Pile: How to Win Without Making The Kids Go Naked full of great resource and tips! I asked the laundry experts (Moms of large families) to share their laundry systems and best laundry tips. Together, the 5 ladies featured in these pages have 30 children! If there’s one thing they know a lot about, it’s laundry! These Moms went above and beyond to help us out! Not only did they explain their systems in detail, but they took pictures and gave us a behind-the-scenes photo tours of the laundry rooms! Yes, I want Laundry Help! The end to my laundry battle is near. I downloaded "Battle of the Laundry Pile: How to Win Without Making the Kids Go Naked" and read it in one day! I was so inspired by the helpful, down-to-earth advice given by all the moms of many, featured in this eBook. It was so nice to have the corresponding pictures of each of these family's laundry "room" situation. Like myself, most of these moms have tiny laundry spaces and yet some have double the amount of kids and are still able to find a system that has worked for them. I was so inspired by this ebook and yet it also felt like having a friend right there beside me coaching and encouraging me to get that laundry pile done! 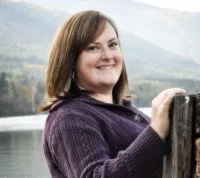 As a homesteading mom myself, I most especially loved reading about Shannon (and her brood of 7!) as I felt most connected to her story (homesteading mom, downsizing house size, always have clean laundry in piles around the living room but never getting it put away). And the homemade laundry soap recipes are a fantastic addition to this book. I think any busy mom (or dad) with several kids and neverending laundry frustrations would benefit from this ebook. I recommend it because it is full of real life solutions from real people, not a magazine or pinterest perfect system from an "expert" that doesn't really work or is too overwhelming. Battle of the Laundry Pile was great! I really liked how there were multiple examples to see how others are successful at getting the laundry done in a neat and orderly way. I always have laundry lying around on the coach and I hate it. There were so many great ideas and I can see a vision now at a better way to do laundry in my own home by combining some of the best practices from the other moms. I'm actually a little excited to get started, which is a shocker! 😀 Thanks for a great, quick and easy read. This ebook was so very helpful and inspiring. Thanks for putting it together! Really I think anybody who does laundry can benefit from this book. Ranging from large families, small families, kids, no kids or even single people. Just because you don't have kids or aren't married doesn't mean you don't have a laundry problem or don't need to know how to tackle it more efficiently. 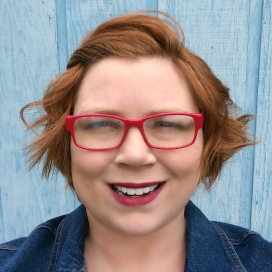 I just finished reading "Battle of the Laundry Pile-how to win without making the kids go naked" and it came just at the right time in my life! My laundry has been out of control! My kids hampers are always over-flowing and I am SO behind with everyone's laundry. I have been washing and folding clothes for the last 2 days, I am sure you can relate! Laundry is just one of those things that I feel I am always behind on. Now, after reading this fabulous e-book, I am going to start a super easy laundry system where I will NEVER ever get that behind! This book gives different laundry systems from Moms that are really outside of the box of the traditional way of doing laundry! I would have never thought of these ideas myself! I got so many golden nuggets from this ebook that I am ready to put into action today! These tips are easy and they will make laundry so much easier! The days of hearing that my kids are out of underwear or socks are over! 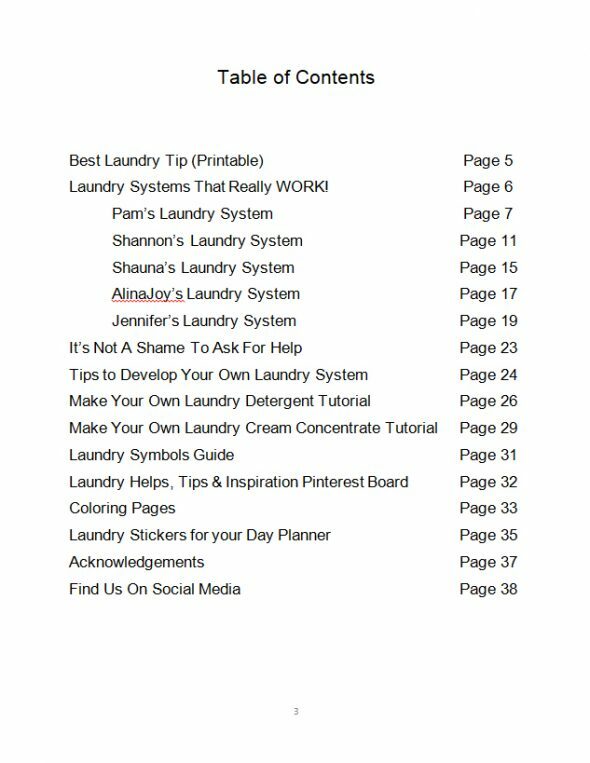 Thank you ladies for this fabulous ebook on easy laundry systems! I am so grateful to have gotten my hands on this! Thank you! Thank you! Thank you! 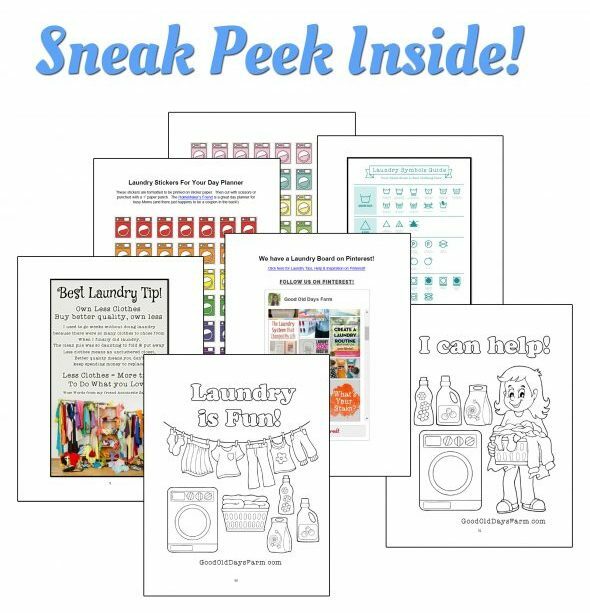 This ebook gives several systems from different Moms who have an effective laundry system and you can try a few until you find which one works for you! That is the beauty of this ebook, if you don't like one, you can try the other! Also, they are easy to implement and you can start right away! Plus, this ebook is an easy read and you can finish it in 45 minutes or less and start your laundry routine right away! I highly recommend this ebook to Moms with 2 or more kids. It gives great advice on creating a super easy system for laundry that works! Battle of The Laundry Pile was eye-opening. It's a common internet joke that moms have laundry piles, but I always thought other people were exaggerating their problems and that I really was "the only one" who dealt with baskets and baskets of laundry. Of course, this is self-centered thinking, but when you have a problem with no solution it's easy to feel like you're the only one! 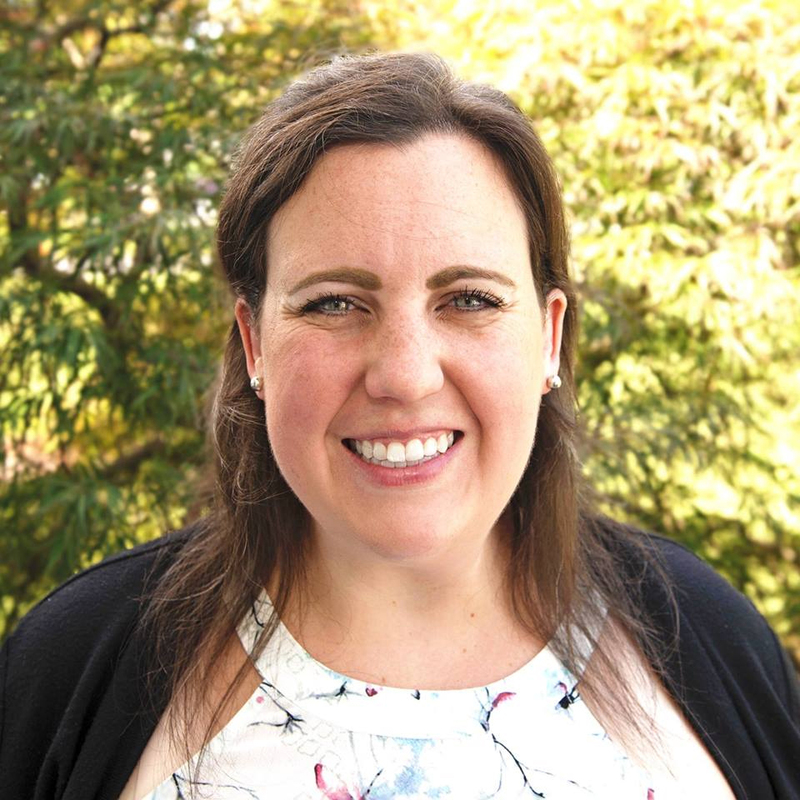 Reading about other moms' laundry issues AND their solutions gave me hope! While no one system in the book is going to be right for me, I was inspired several times by little details! When Jennifer mentioned that she had put some decorations in her laundry room to help make the area more fun, I immediately thought It would be a great idea to put a small radio or even a blue-tooth speaker in my laundry room so that I could listen to music or podcasts while doing laundry. Instead of feeling trapped in an area away from my entertainment, I can bring the entertainment with me! I LOVE that this isn't trying to be a step-by-step walkthrough to set up a system just like someone else's. It is an inspiration, which is infinitely more valuable to me!! A big theme was working with non-ideal laundry spaces and making those spaces work better. Even though I have a FANTASTIC laundry space (a large area in the mudroom with space, storage, and even a custom built folding table!) I still struggle with the laundry! The information and inspiration will work even if you have a brand new space that you designed yourself. Any person who does their own laundry would benefit from this! Honestly, I don't know anyone who has the "perfect" laundry system. I bet even the ladies who WROTE their experiences could read through this and get even more inspiration! But especially people with families who are habitually rewashing clean clothes, living out of laundry baskets, or just overwhelmed with laundry taking over their lives! I'm Ready to Think Outside the Box to get our Laundry Done! Battle of the Laundry Pile is a quick and easy guide to help improve your laundry system. AlianaJoy shares helpful tips that will finally help you get control of your laundry. You'll find stories from real moms about their creative laundry systems. They're systems that can easily be replicated in your own home. They're not overly complicated like many methods I have read about before. I'm finally ready to get the piles of laundry out of my living room! Busy moms, stay at home Moms, working Moms, moms of multiples will all benefit from this ebook!